Here are my recommended first steps to creating your dream room addition. Since an addition to your home will change the structural aspects it is important to first assess you needs. What do you want to accomplish with this addition. It might be as simple as adding an additional bedroom or expanding the kitchen area; it might entail adding space for multiple rooms and then reconfiguring the use of some existing space. No matter what the ultimate goal it is important to first assess those needs. Once you have a good general idea then the creative juices will start to flow. You will have an idea of what you want to add or change in your addition. From here I would encourage you to find two specific resources in your local area. The first being someone qualified to assess your ideas and create accurate drawings of the proposed layout changes and how you will integrate the addition aesthetically from the exterior appearance. This will typically be an Architectural Firm or Qualified Designer and you can research these options in your local market. Then secondly you will need to have the structural changes assessed by someone qualified to confirm that all local codes and safe practices are being complied with. This will typically be done by a local Engineering Firm. I always stress going in this order so you maintain control over the addition project and it ends up being what you envision rather than possibly someone else’s misconception of your desired result. From here the process can flow into either coordinating your own collection of estimates relevant to the project or in other words, acting as your own general contractor. 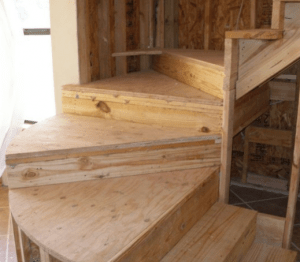 Or you may choose to go through the process of screening and selecting an addition general contracting company to handle the rest of the process for you. 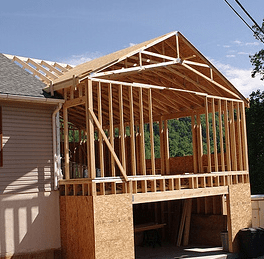 One note about the choice of outsourcing your general contractor is that this company might also handle the above mentioned topics of proper design and code compliancy. You will use the information gained in the process of estimating your project cost to make two final decisions before proceeding. You must assess whether or not this project will add enough value to your home to justify the expense of the project. You should also take into account answering the following question. Will this project increase the value of my property to a point beyond the average marketable value of other homes in area? In other word, Will I have the most expensive home in the neighborhood thus restricting my ability to sell this home at fair market price in the future? Once you have cleared these hurdles and feel good about moving forward on your addition you are well on your way to realizing your dream of expanding your living space with the confidence that you have a clear understanding of the scope of your project and the value added costs you will incur. Share your room addition planning experiences or questions with us here.